I think one of the most misunderstood and most overused practice in the season of Lent is the whole notion of “what are you going to give up for Lent?” For those from a liturgical background, this practice can become an “obligation,” where they do it primarily because it is expected of them. No one wants to be considered “unloyal” (or worse, unfaithful), so the reasoning of giving something up for Lent has more to do with conforming with religious pressure; not out of devotional pursuit. Others treat the giving up for Lent like a “garage sale” or a “can food drive.” We find what we can afford to get rid of as our Lent project. We choose a habit that we can do without, more or less, for a 40-day period. Like giving away a sweater we don’t use any more or a can of strained artichokes that is close to its expiration date, we find convenient things that are relatively easy to give up. Or, if you’re like me, we’ll try to kill two birds with one stone: like going on a diet during Lent. It’s not easy, but I might as well do it since I need to give something up anyway. And then there are those who use this act of piety to show how spiritual they are. “The larger the sacrifice the more spiritual I must be.” Sometimes the emphasis is trying to impress others, but often it is an attempt to impress God; as a way to somehow earn His favor or get Him to do something. But I think these are all missing the point. giving up something for Lent isn’t about fulfilling an obligation or making a 40-day “new year’s resolution.” It’s not about doing something conveniently sacrificial or trying to prove my spiritual prowess. 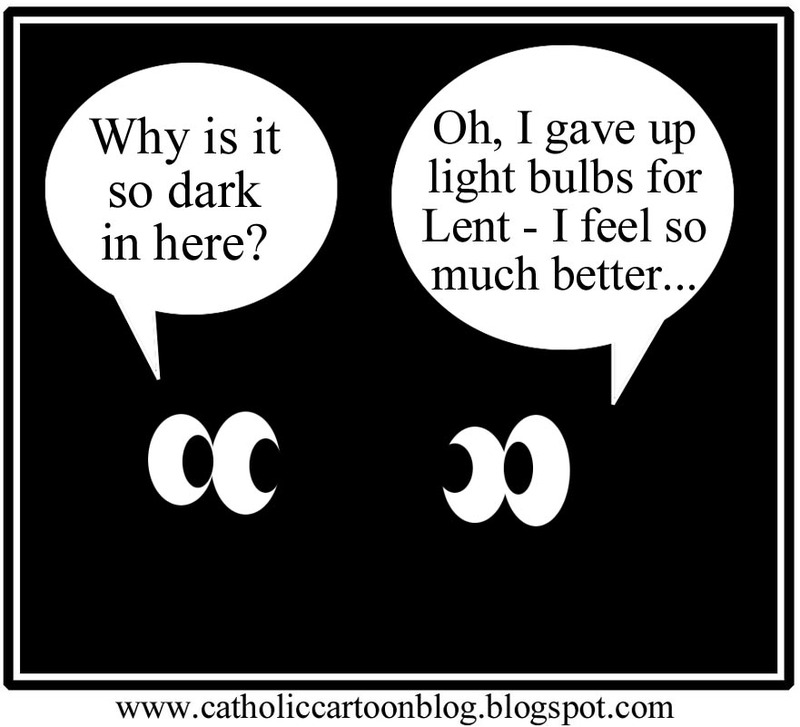 It’s not so much about giving up “something” for Lent, as it is being obedient to what the Lord wants. Sometimes He wants us to give something (like time for family or volunteering for a church project or solitude with Him, or financial assistance to a needy person or cause). Sometimes what He wants us to give up is an attitude (like abruptly reacting to something that pushes your buttons or a smug attitude or trash talking to someone – even if it is in fun). I could think of several things I could give up for Lent (like not eating after 7pm or not playing solitaire on my phone or watching Laker games – oh, I already gave that one up! ), but this year I’m asking the Lord what He wants me to do. And maybe this will push past the 40 day period to Holy Week. Maybe it will just become a part of my life; my whole life worship. Is there something Christ is calling you to do in this next season? Who can help you carry out this commitment? I actually felt a great desire to read through the entire Bible during Lent.